Clarke’s leadership development program, CU LEAD, is based on the Social Change Model of Leadership Development, which approaches leadership as a purposeful, collaborative, values-based process that results in positive social change. There are two primary goals to the model. Facilitate positive social change; that is, undertake actions which will help the community function more effectively and humanely. The goal of the Social Change Model is to prepare a new generation of leaders who understand that they can act as leaders to effect change without necessarily being in traditional leadership positions of power and authority. CU LEAD consists of three parts. Parts 1 and 2 consist of seminar style sessions that educate on the various core values. 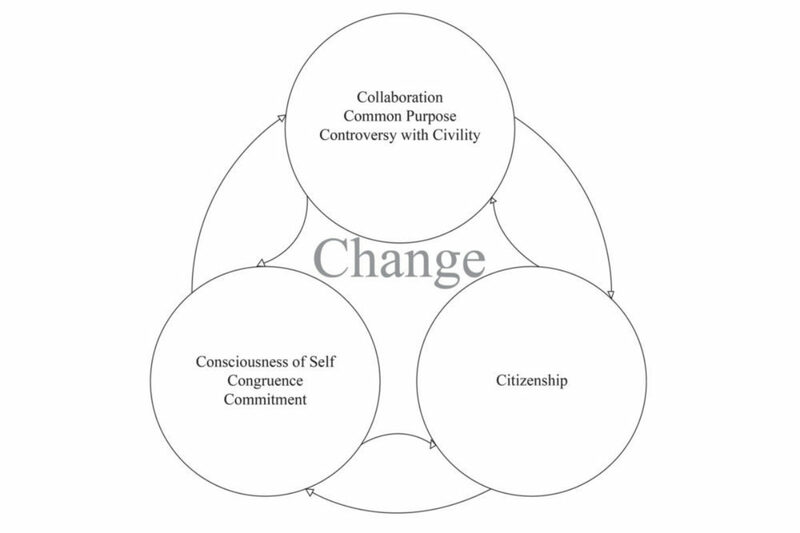 Part 1 focuses on individual leadership (consciousness of self, congruence, commitment) while part 2 focuses on group leadership (collaboration, common purpose, controversy with civility). 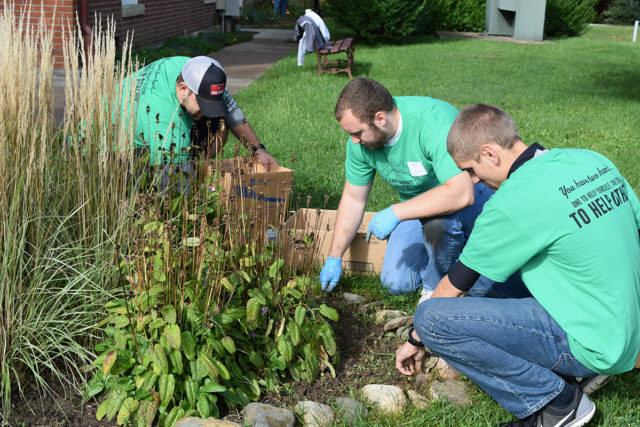 For these two parts, students complete two different seminars focused on each core value, plus one casual community conversation, and one community service event. In total, students will participate in 8 activities in order to receive their completed leadership certificate in the individual or group dimension. 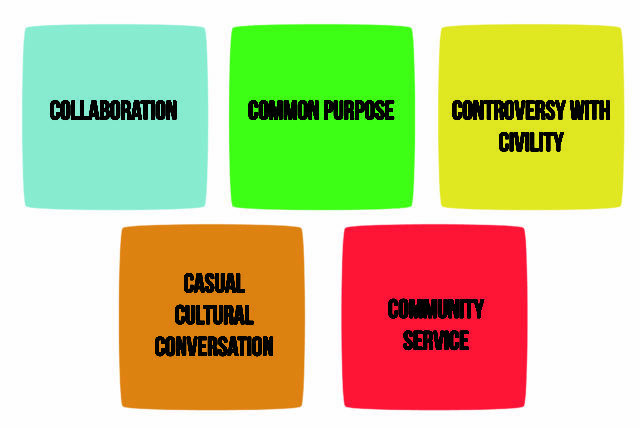 In part 3, participants will draw on all the values developed in parts 1 and 2 to plan, lead and implement a project that contributes to the common good and realizes some aspect of social change. Participants are able to track their progress using Clarke’s interactive involvement tool, The Source. The identifiable shapes and colors CU LEAD uses to identify each of the values helps students recognize the sessions they still need to attend. Students can easily find session icons on program marketing posters around campus and mark sessions down in their planners so they never miss a needed session! The mindfulness of knowing one’s values and belief systems, strengths and weaknesses, motivations and from where the motivations come. Walking the talk of your leadership, meaning practicing your beliefs in every day actions. The ability to engage in something you have a passion for, following personal goals and purposes and sticking with something that is important for you to accomplish. Working effectively with other people in a shared process. The ability to come together around shared purposes, to listen and respectfully hear what others are saying so you may modify your own perception of the purpose of the group. Engaging in conflict/difference in opinion in a respectful and civil manner. The group will be able to question its purposes and make deeper commitments. Being engaged in one’s community. Citizenship means you are an active participant in the processes of the groups within your life. 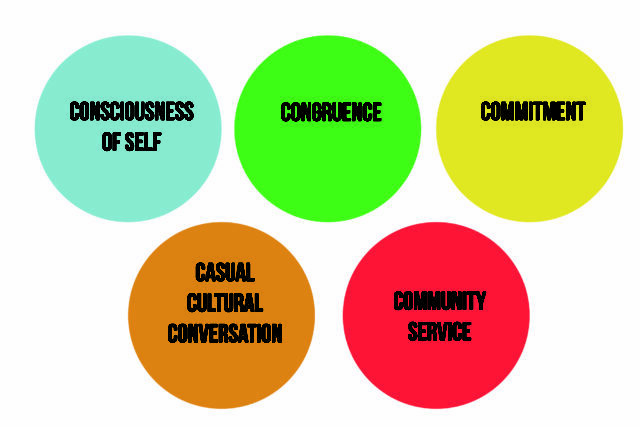 All of these values interact with one another. Leadership is inclusive, and is a process. Working together is essential in leadership. This program empowers students to see that they’re bringing the best of themselves into leadership positions.